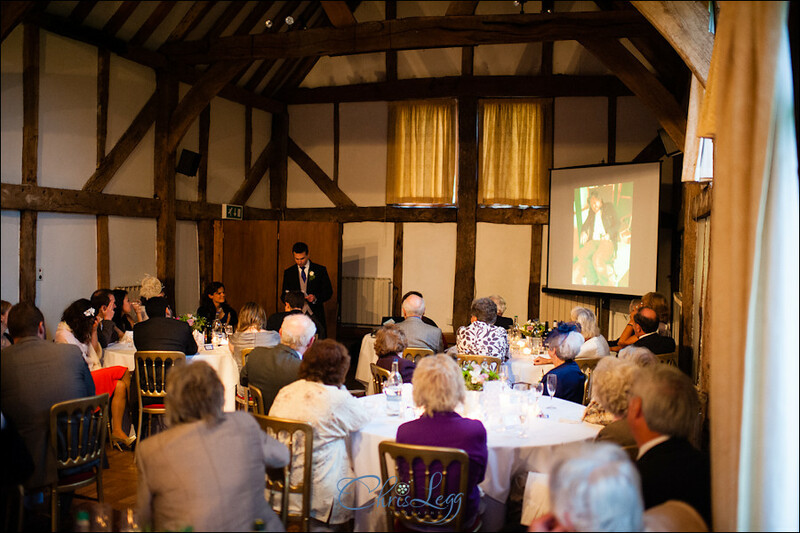 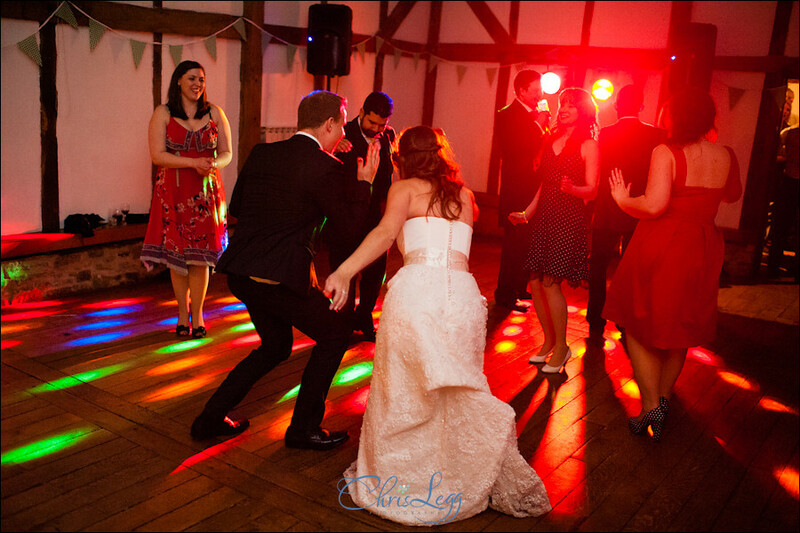 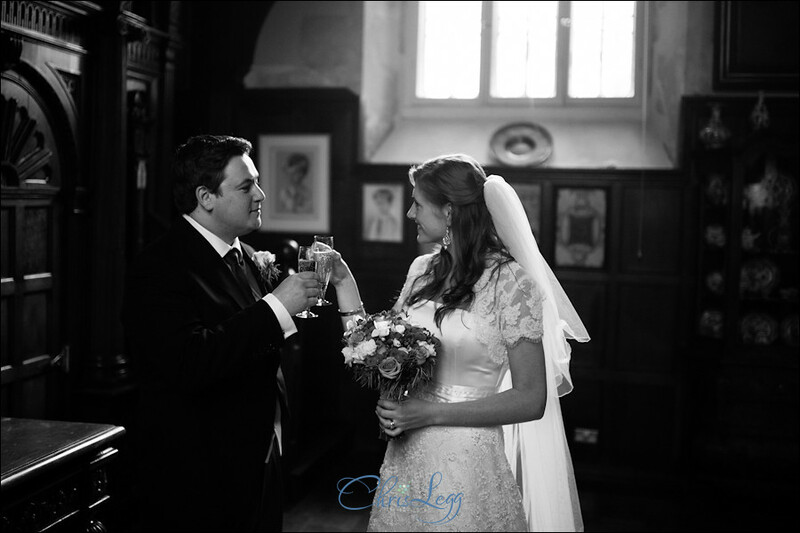 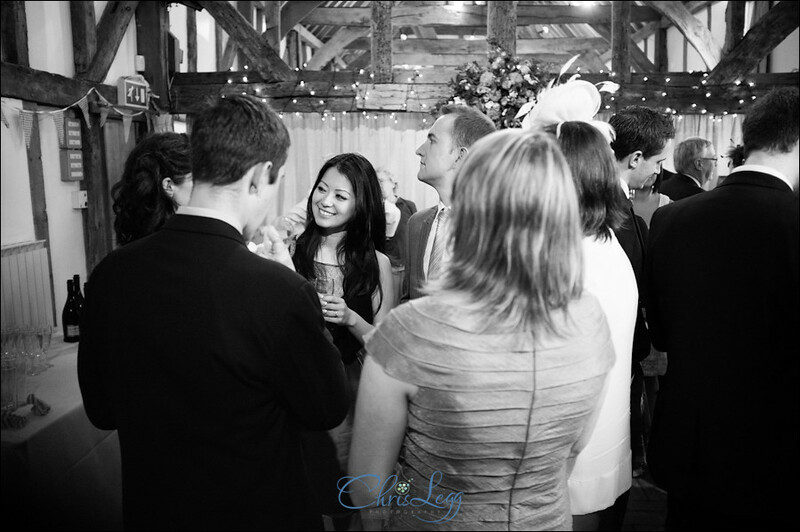 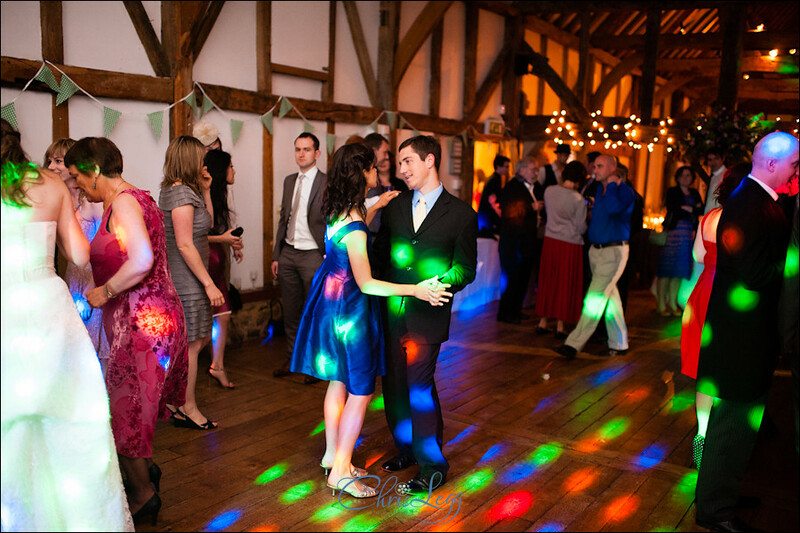 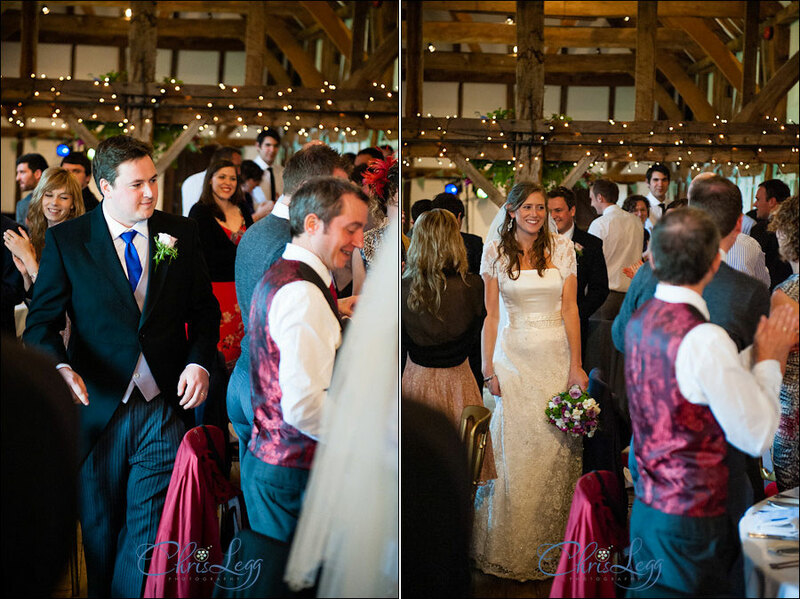 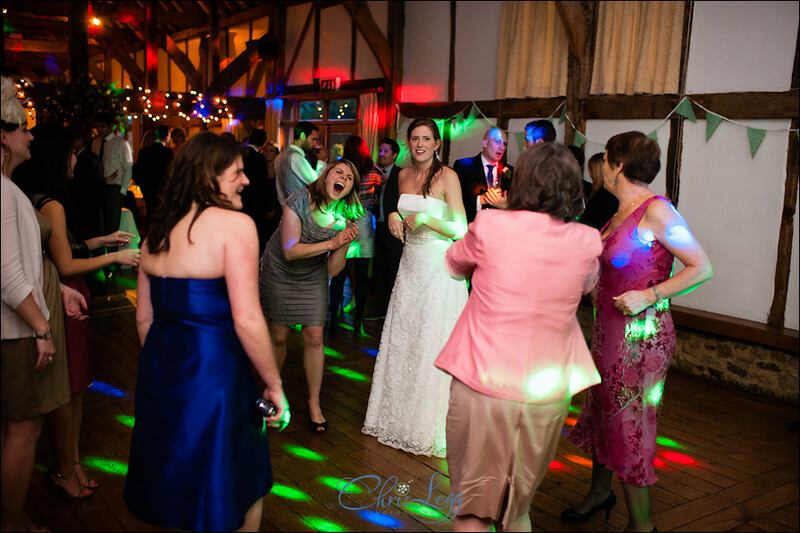 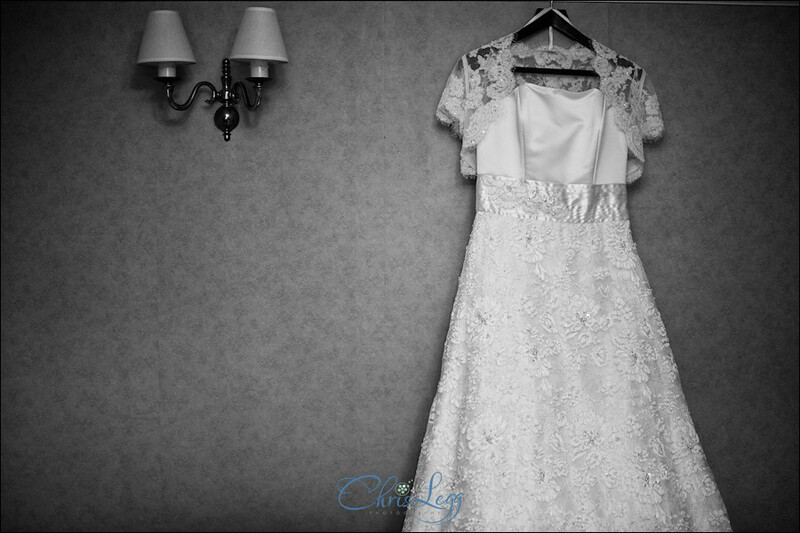 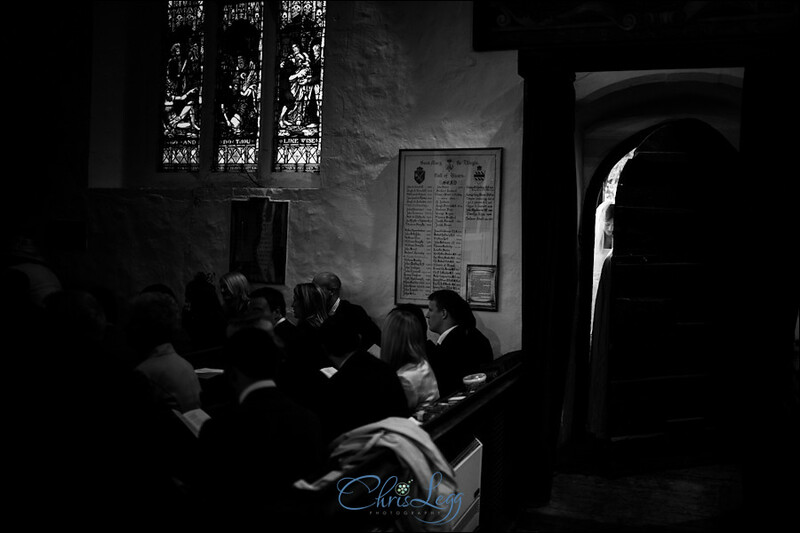 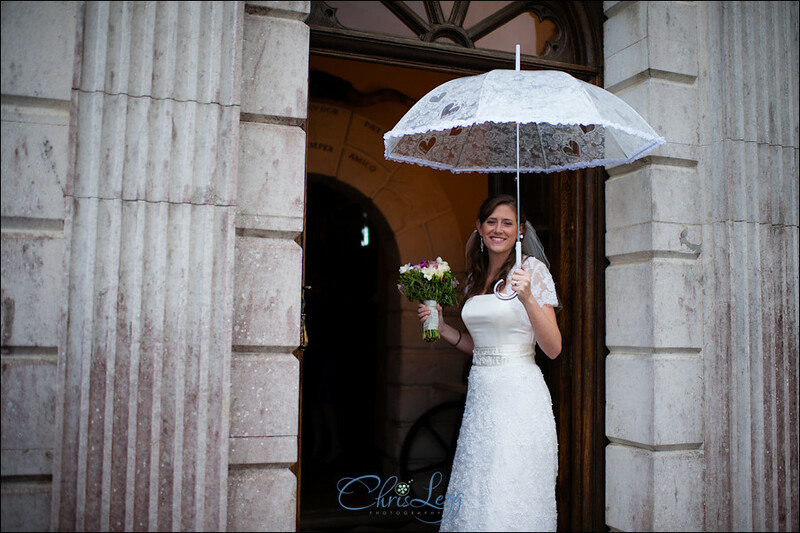 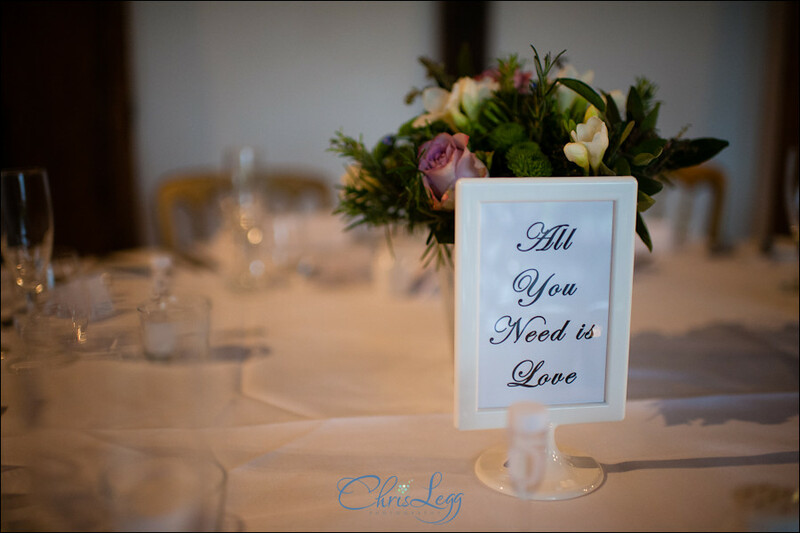 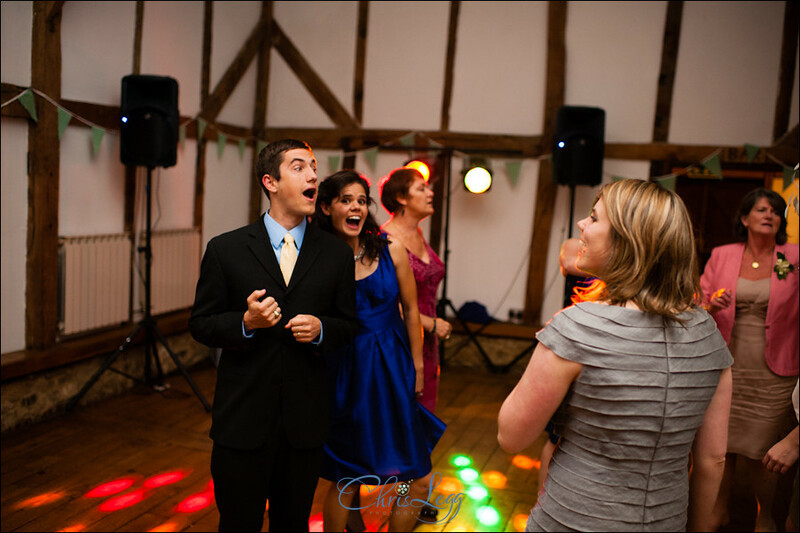 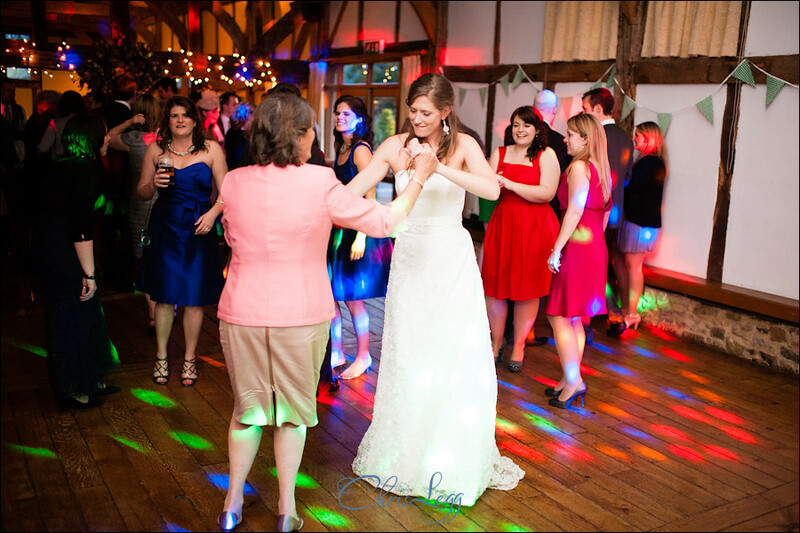 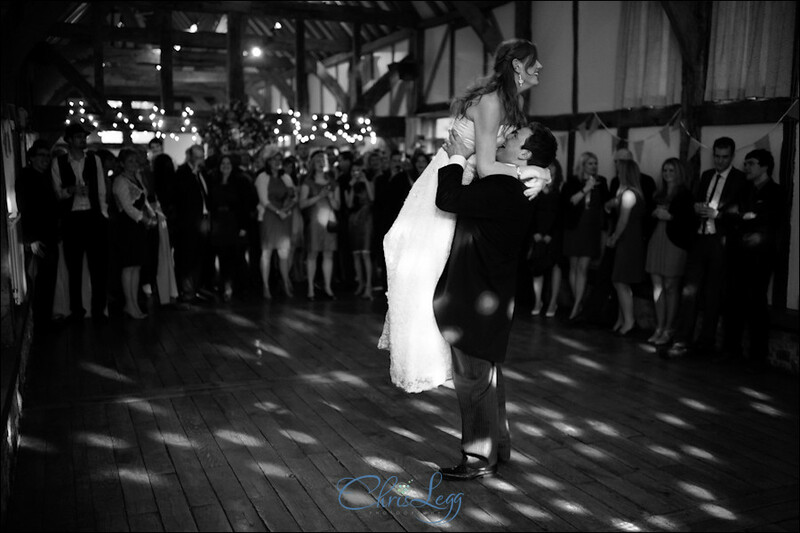 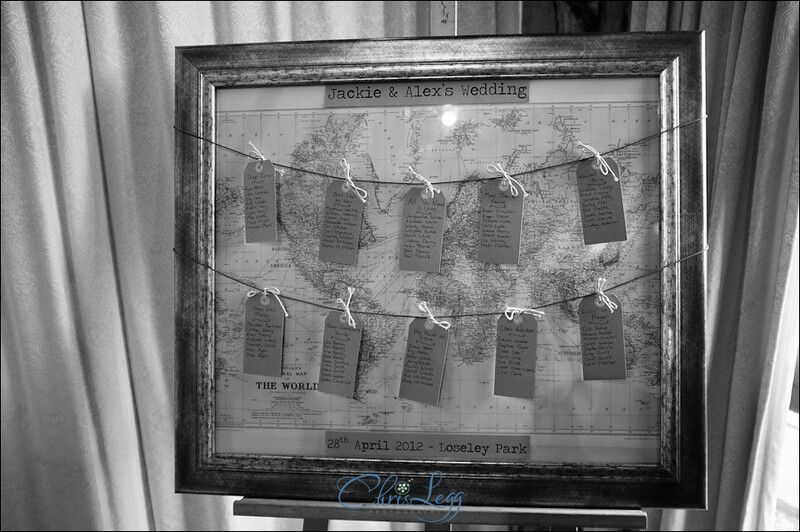 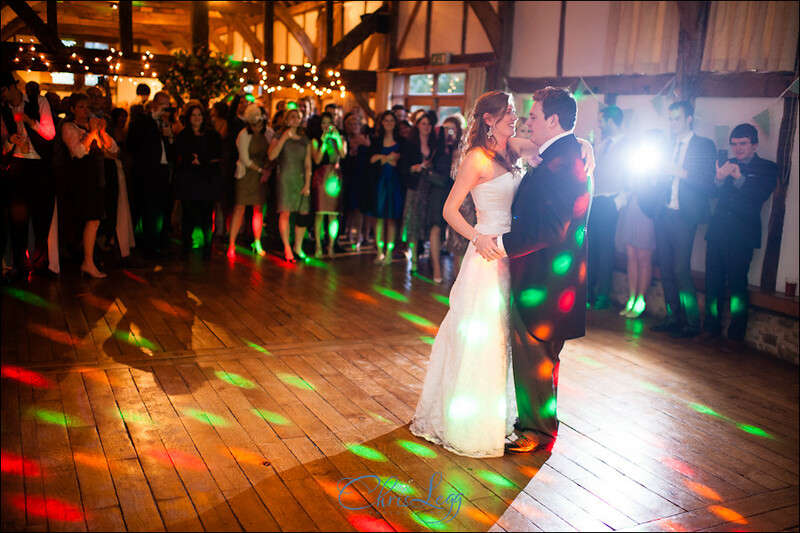 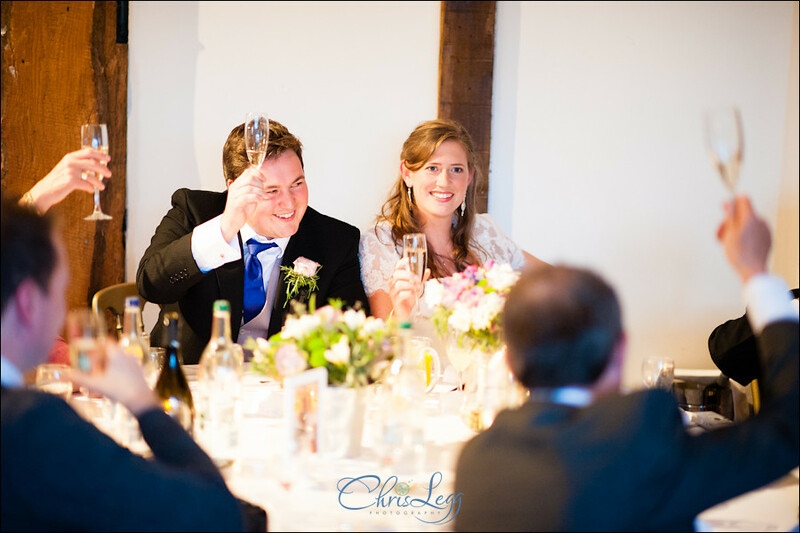 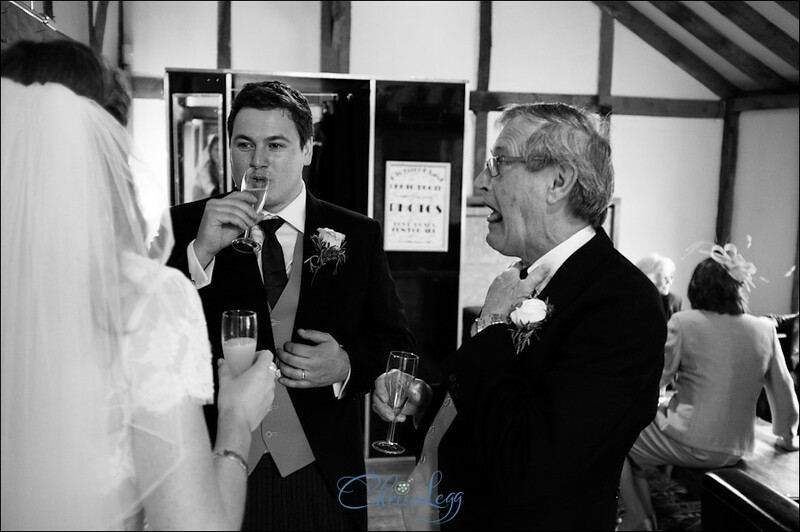 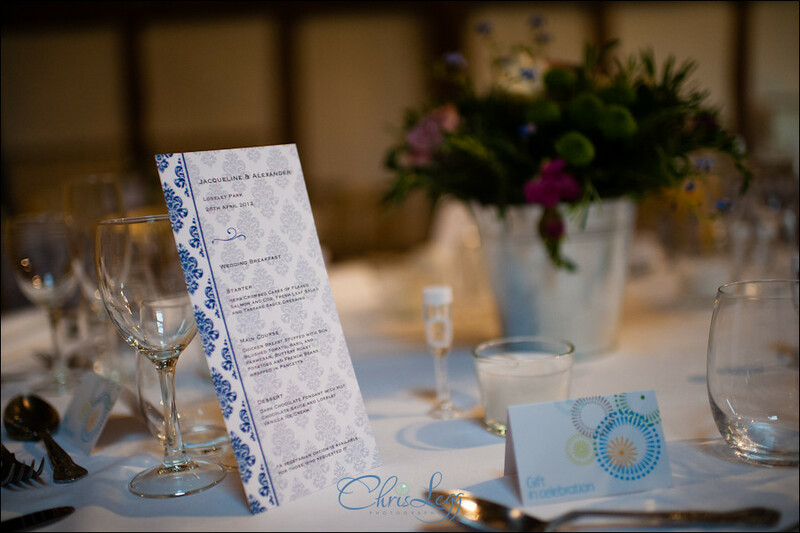 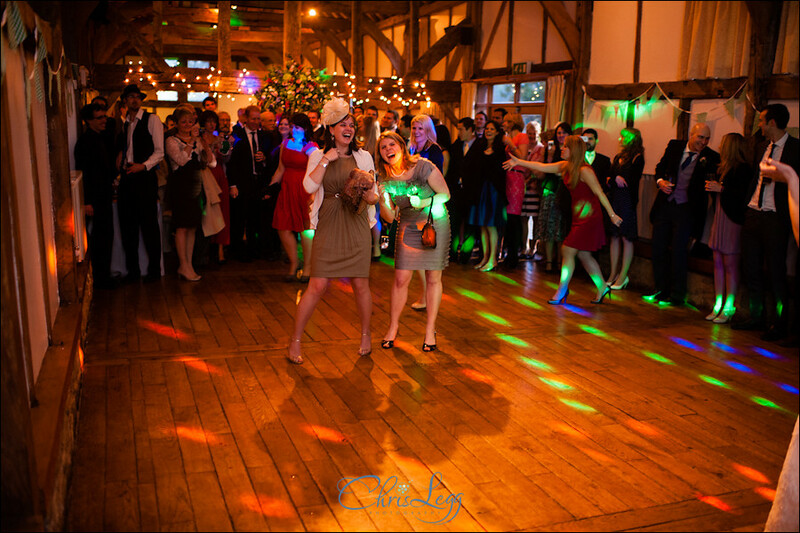 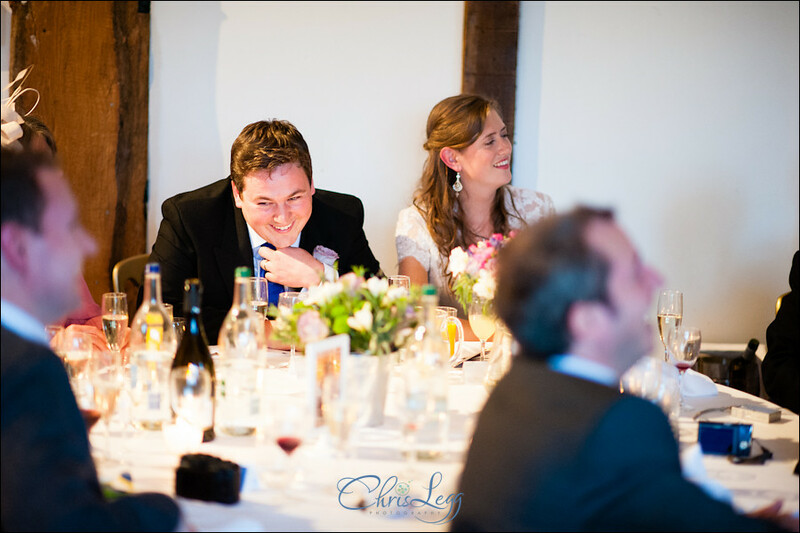 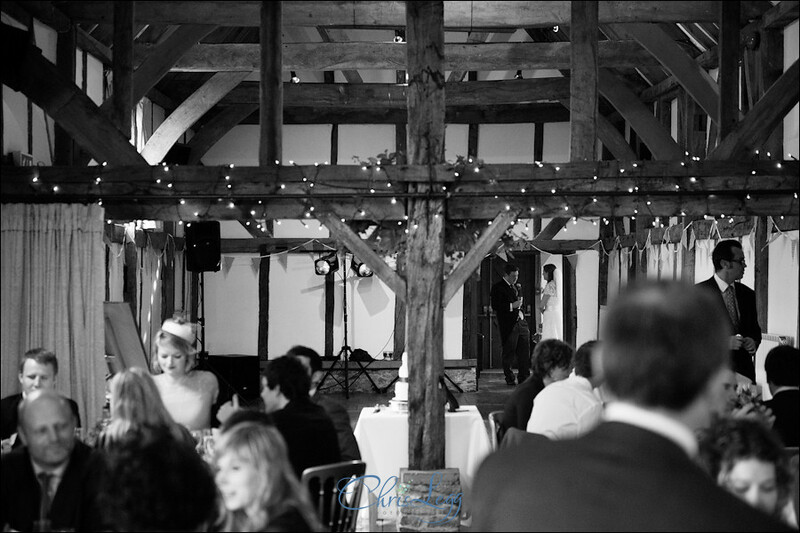 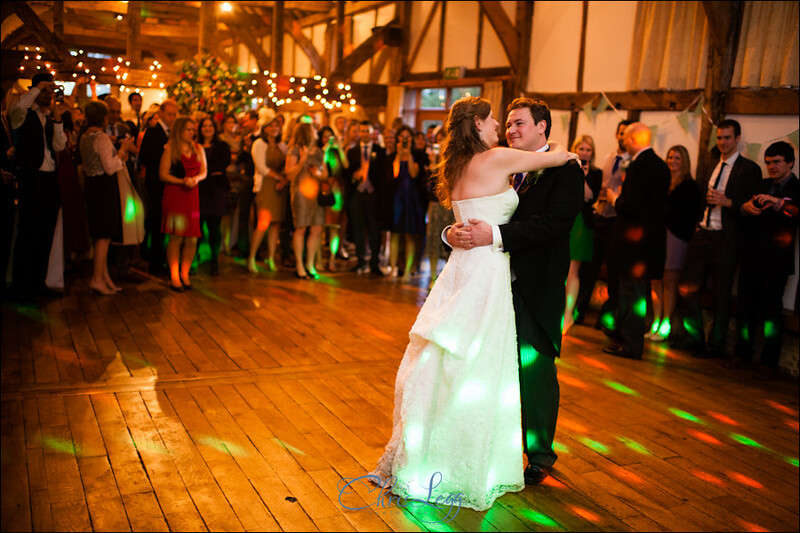 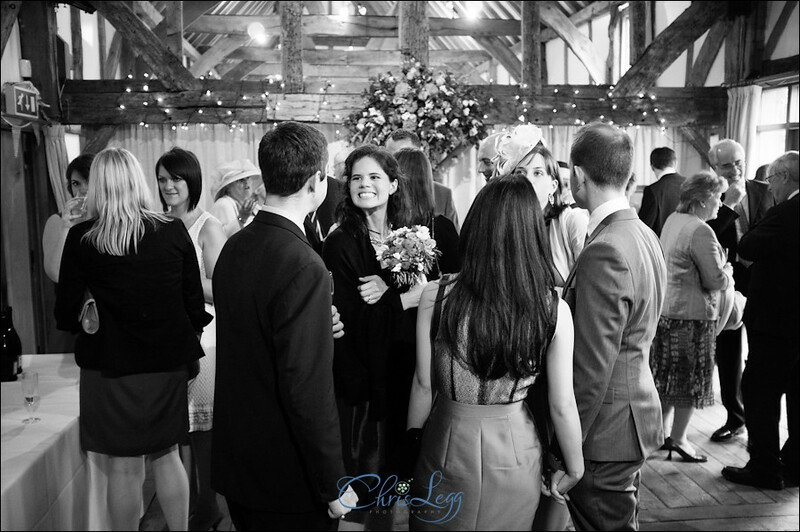 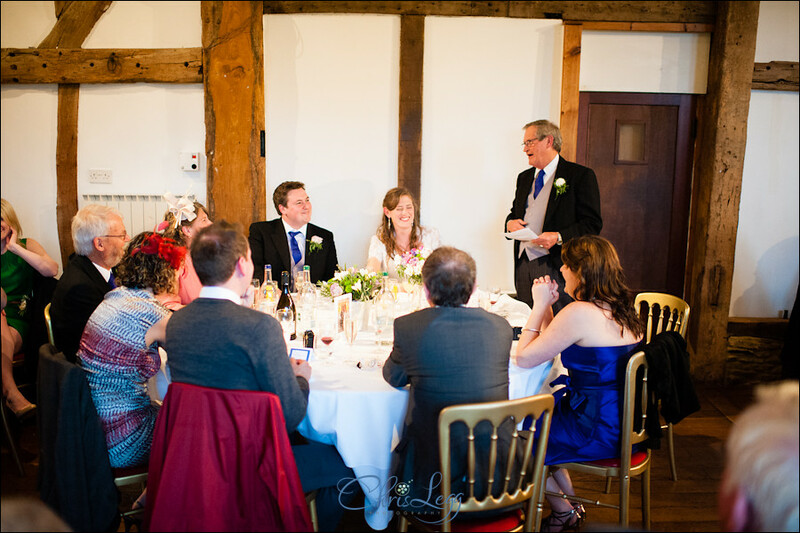 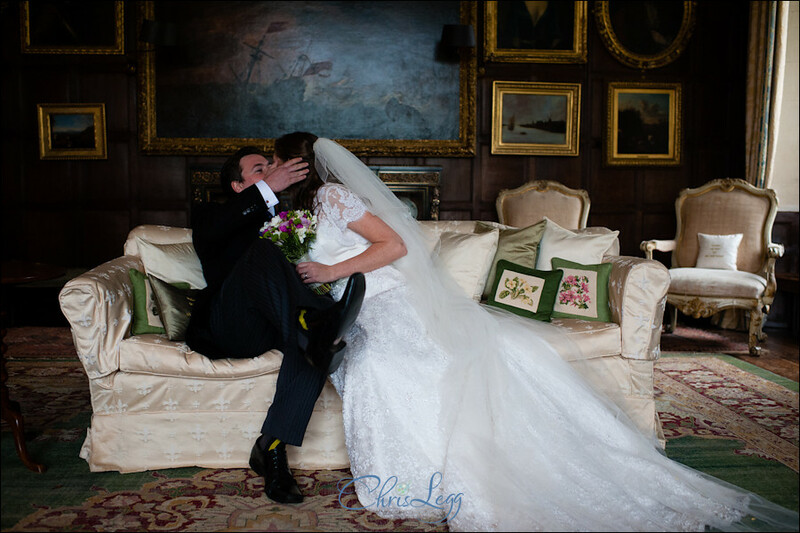 Jackie and Alex booked me as the photographer for their Loseley Park Wedding back way back in early 2011. 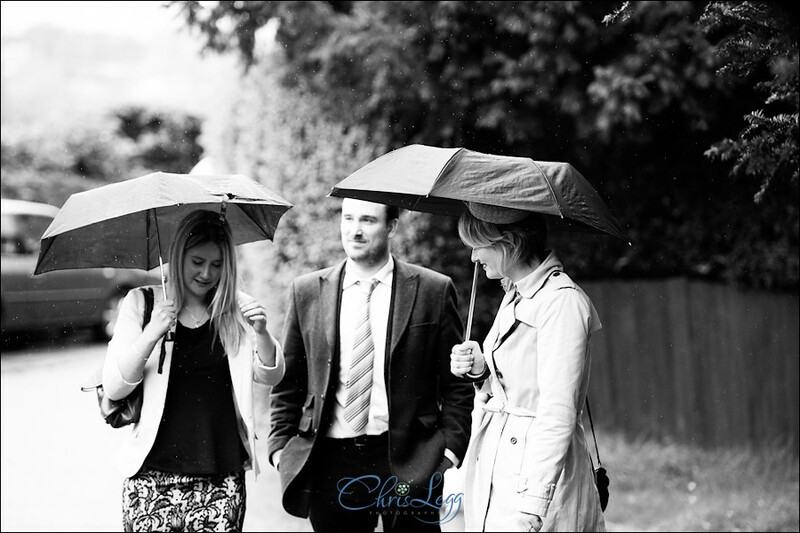 We met up again earlier this month for their Engagement Photography in London where we had a wander along the Thames down from St Pauls Cathedral to Tower Bridge and chatted through the plans for their day. 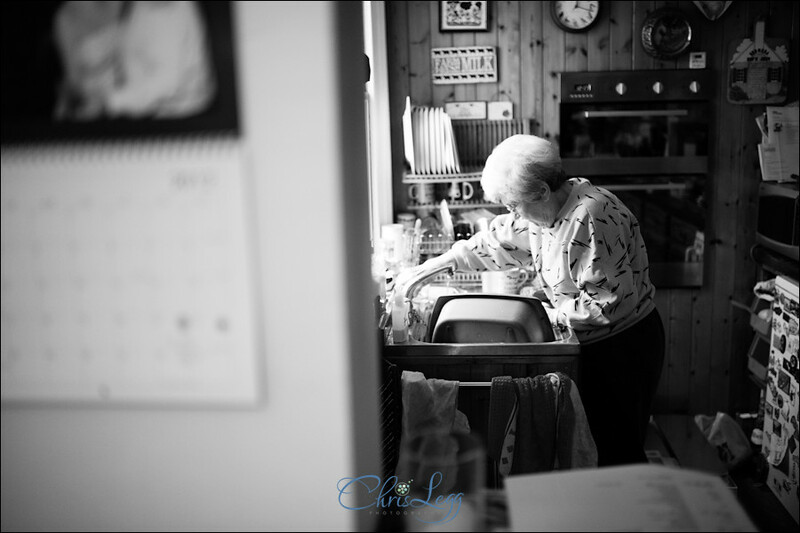 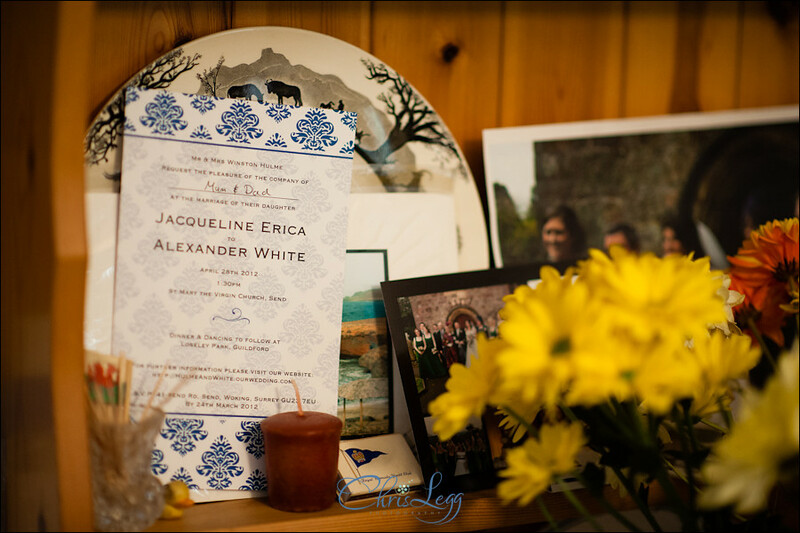 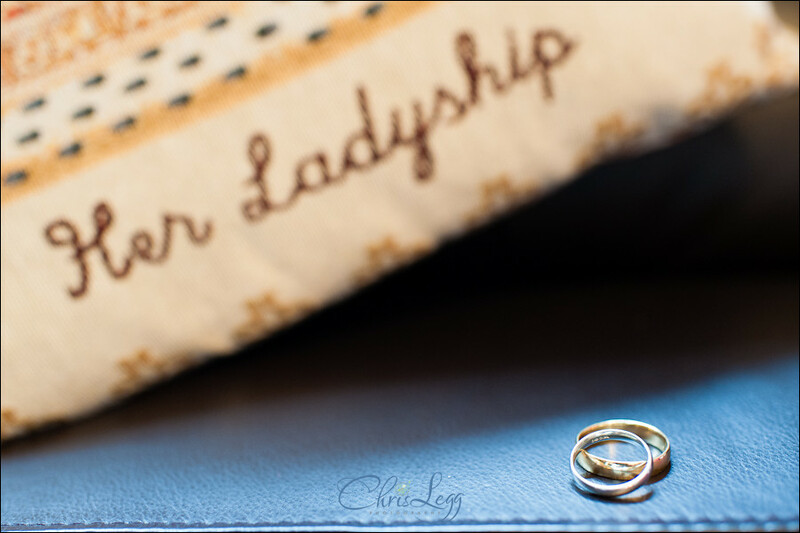 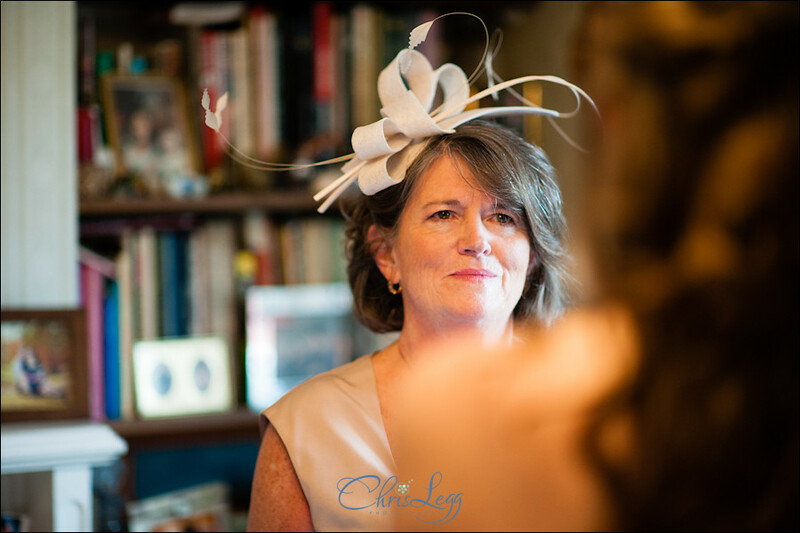 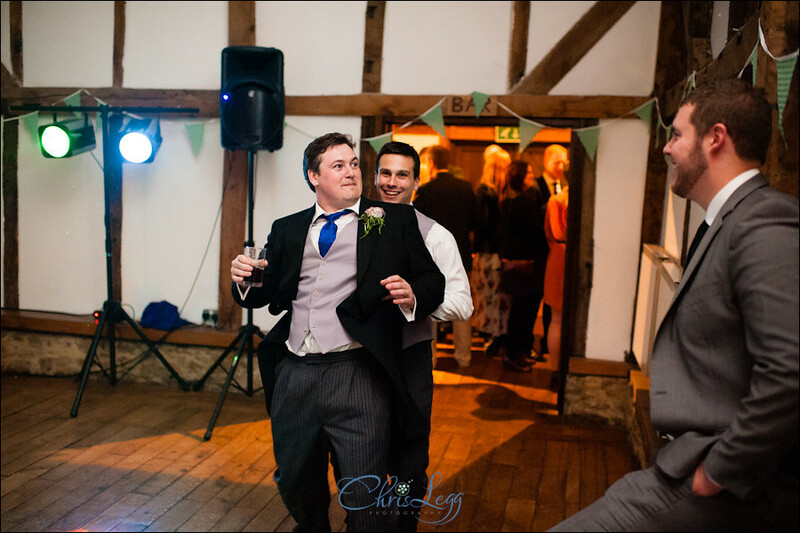 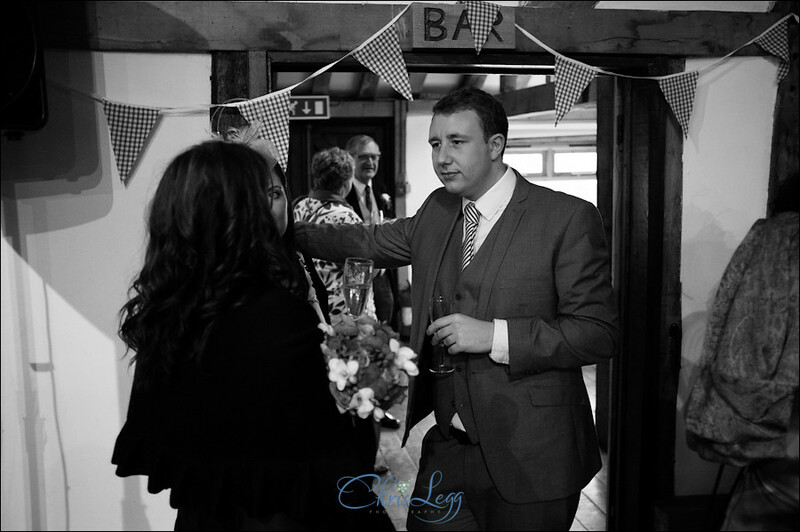 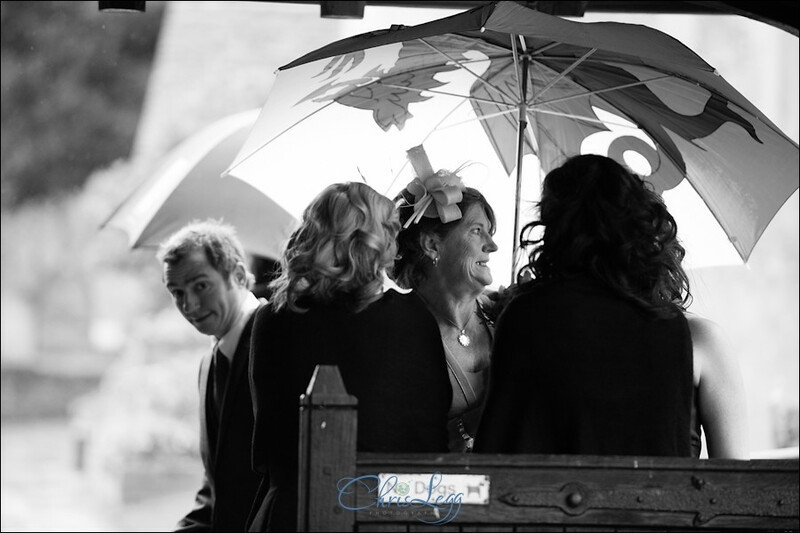 It’s always nice meeting up again before the wedding, especially when the initial meeting was so long away, it meant that when I turned up to Jackies parent’s house for the bridal prep it was much more of a ‘Hey Chris’ than a ‘Oh, hello Mr Photographer we met over a year ago’. 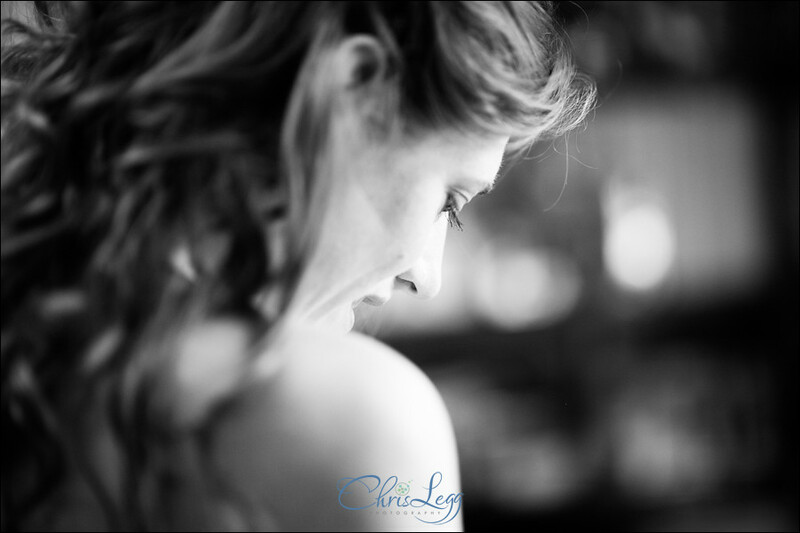 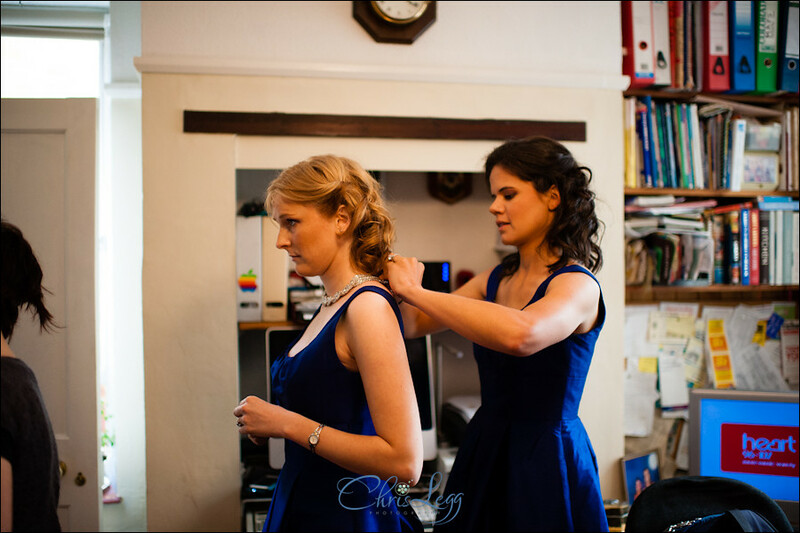 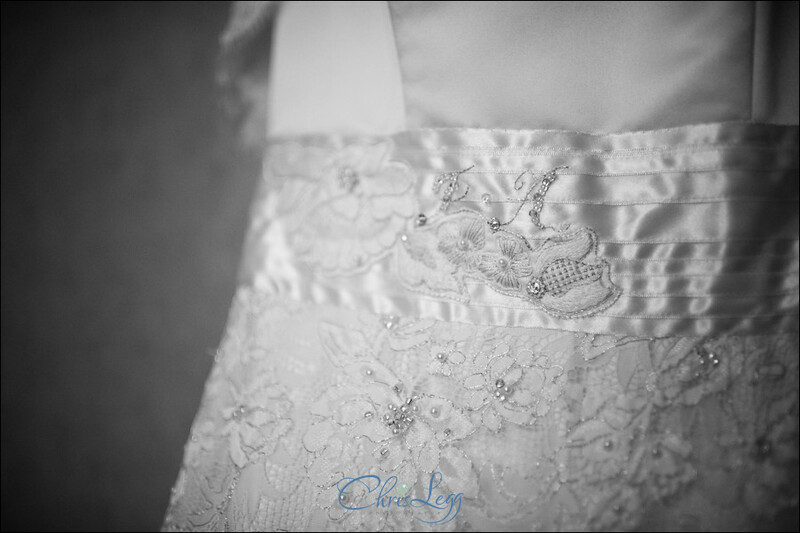 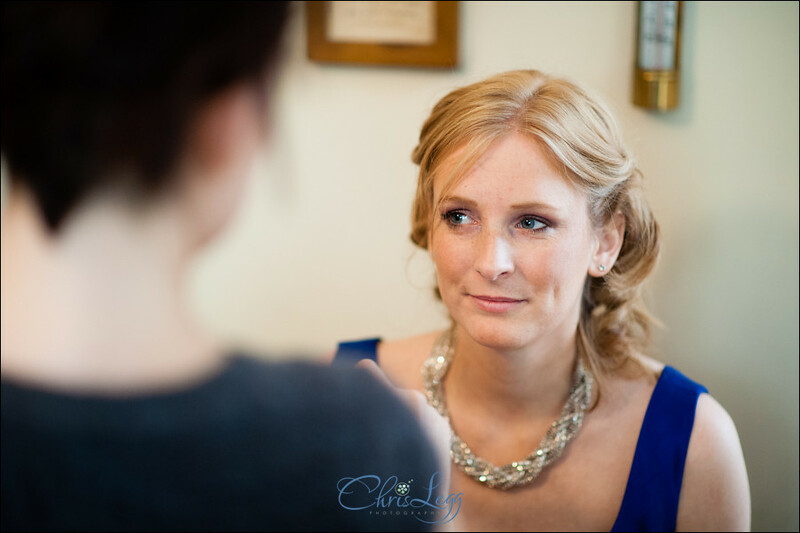 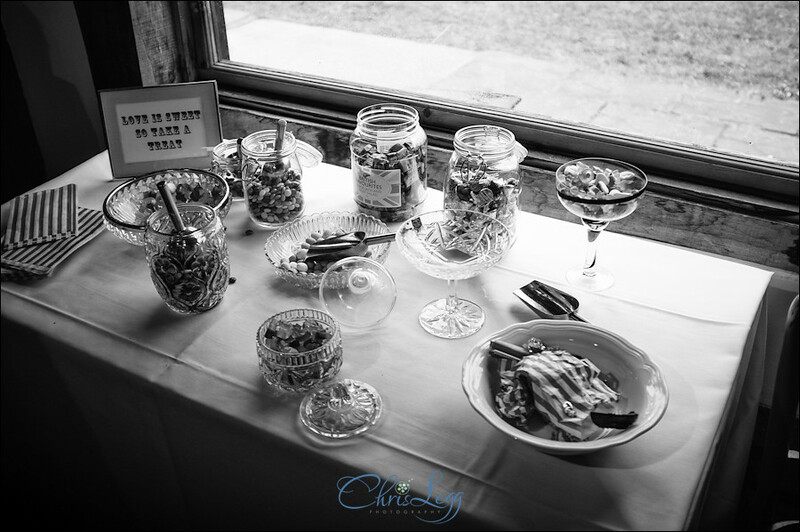 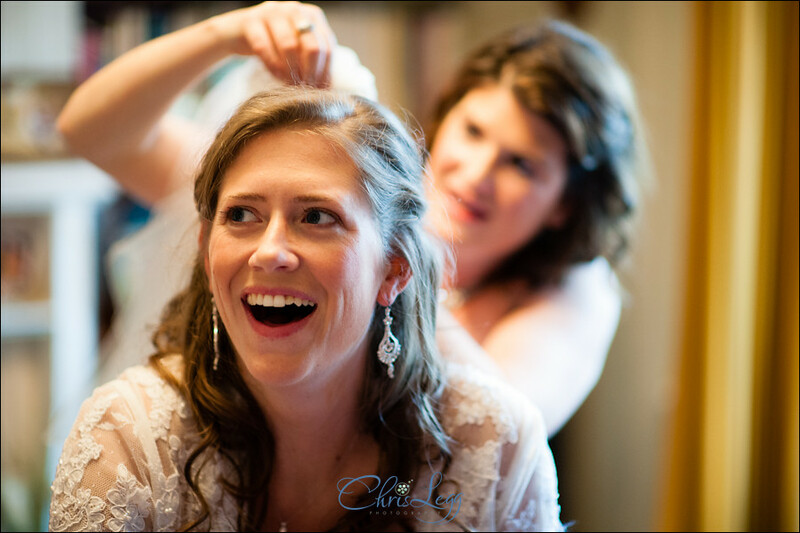 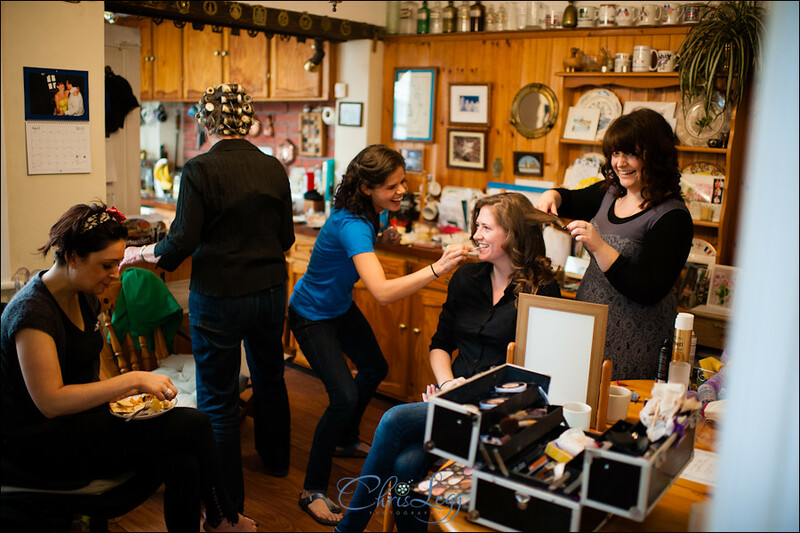 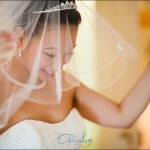 As with most bridal preps, there was a great buzz in the house that morning, it’s why I love shooting the prep! 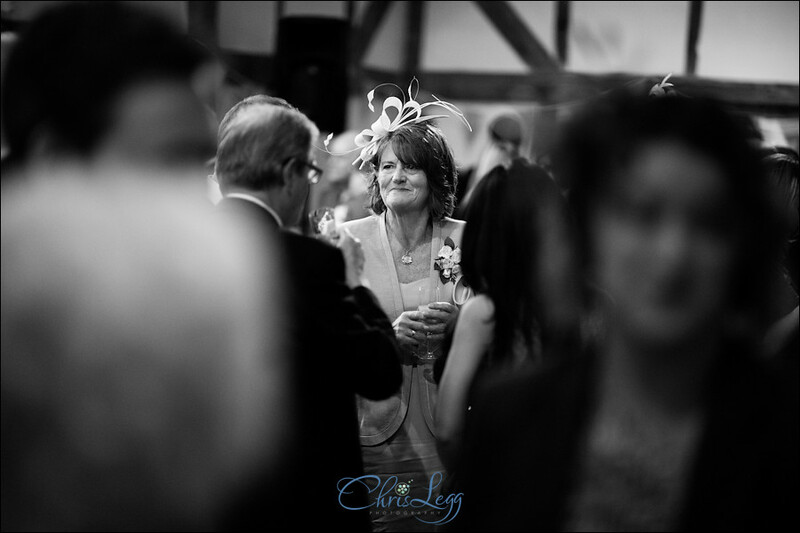 Everyone looked fabulous and Jackie was as cool as can be. 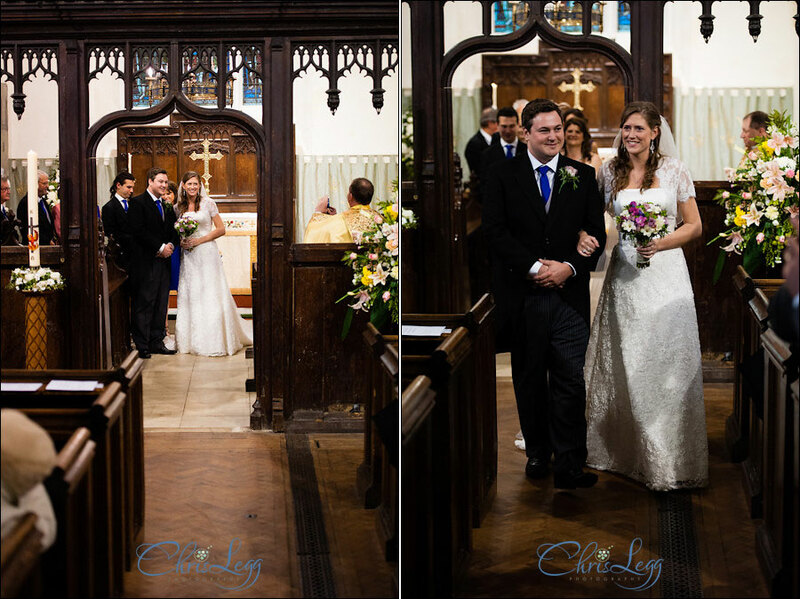 After the bridal prep we headed off to the Church of St Mary the Virgin in Send. 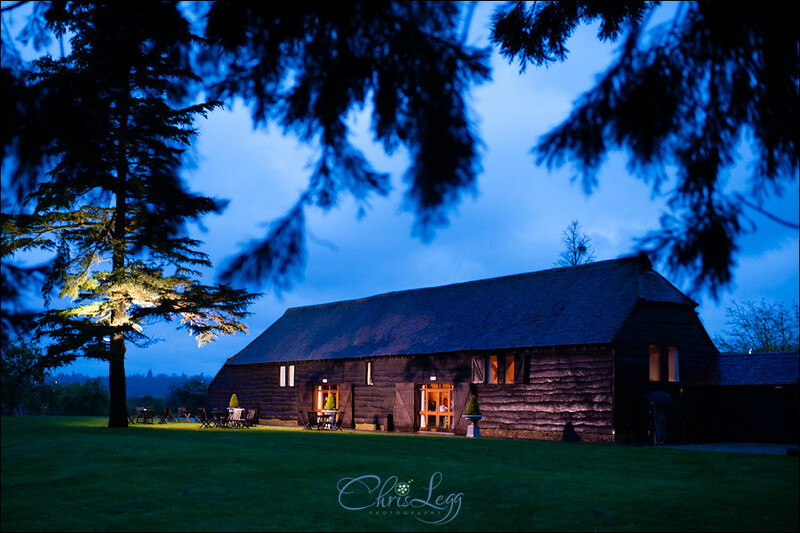 A stunning little church down a little country lane. 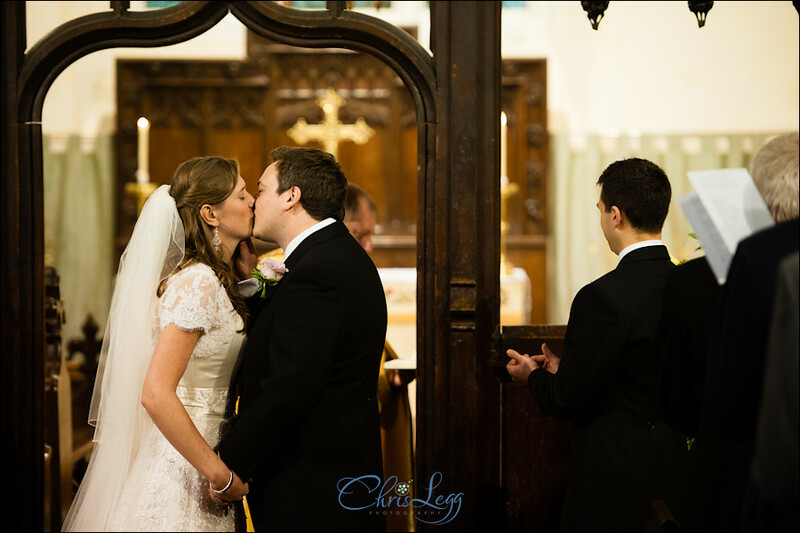 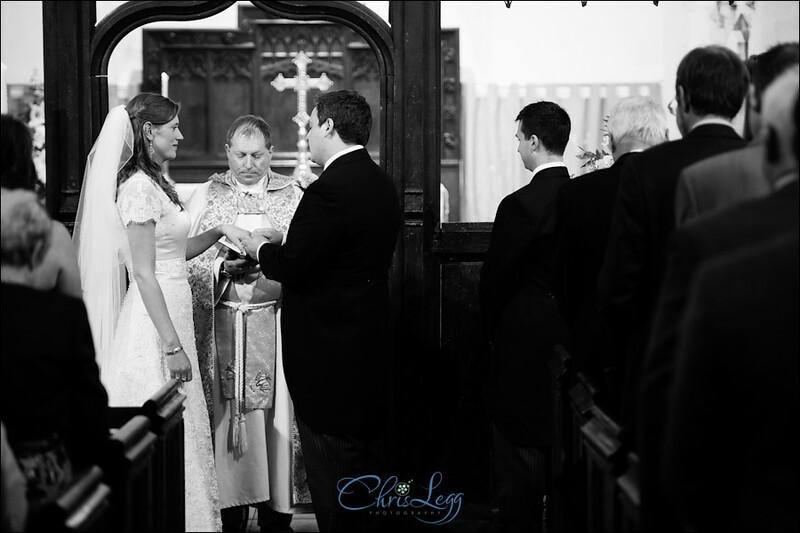 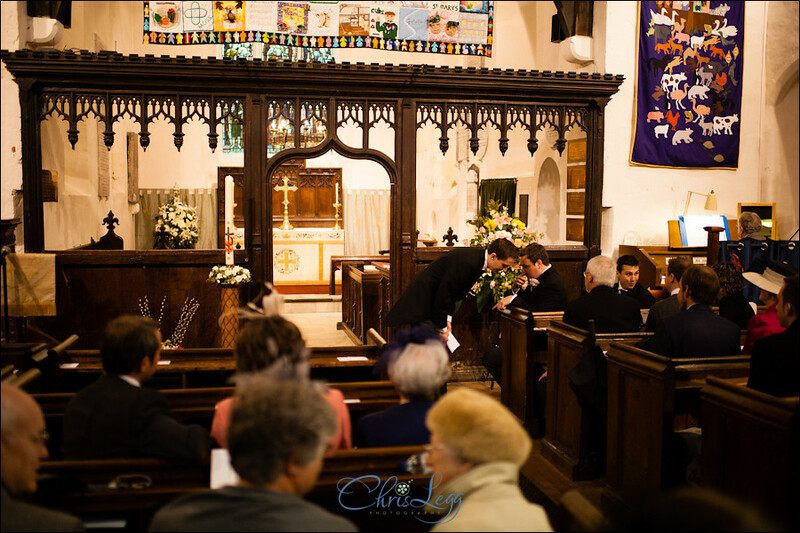 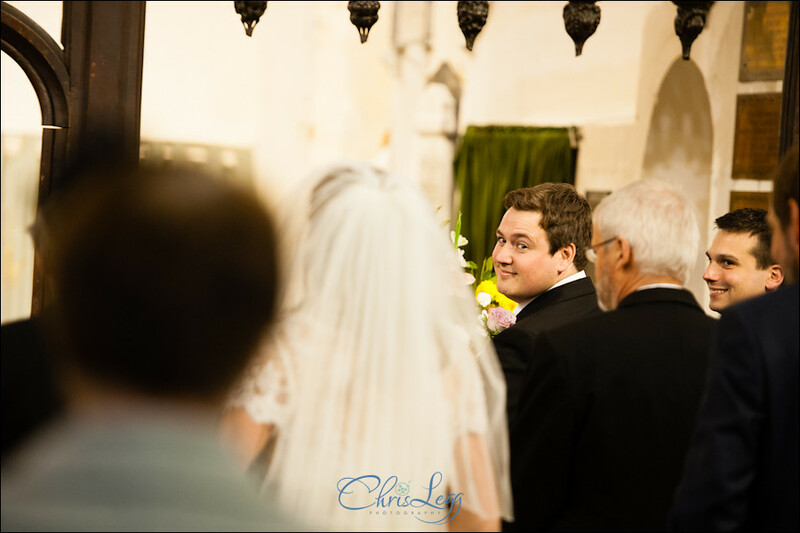 The ceremony was lovely and the church itself very intimate and pretty. 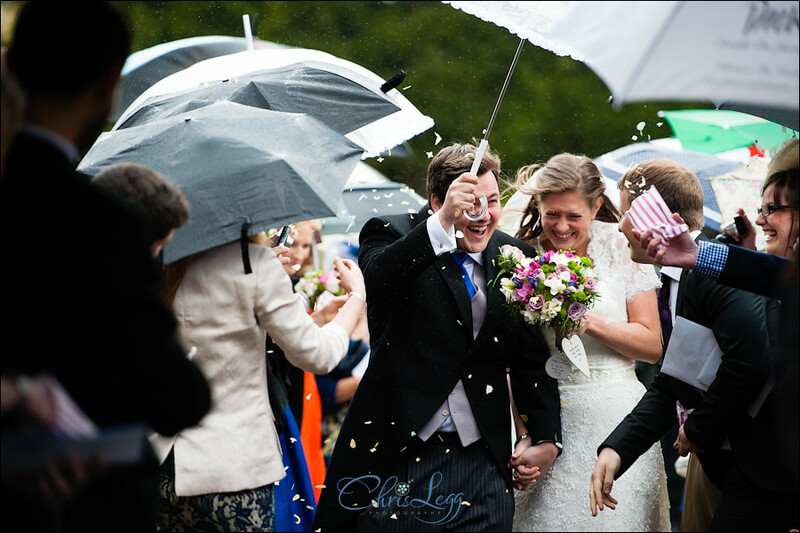 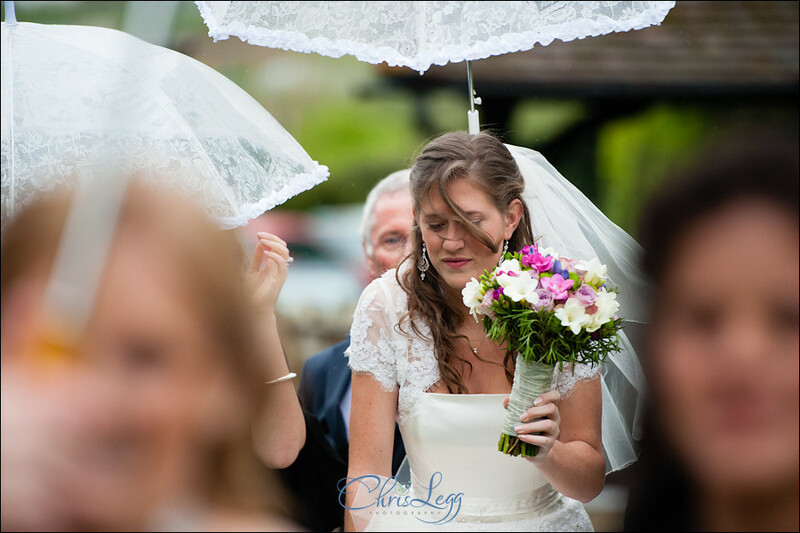 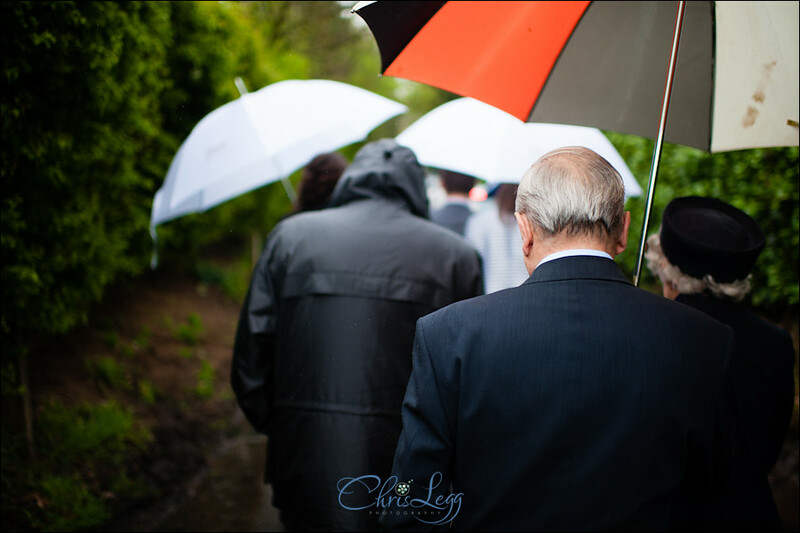 A little bit of rain wasn’t able to put a dampener on the proceedings and I think Alex actually appreciated the excuse to have an umbrella to shield himself from all the confetti as they left! 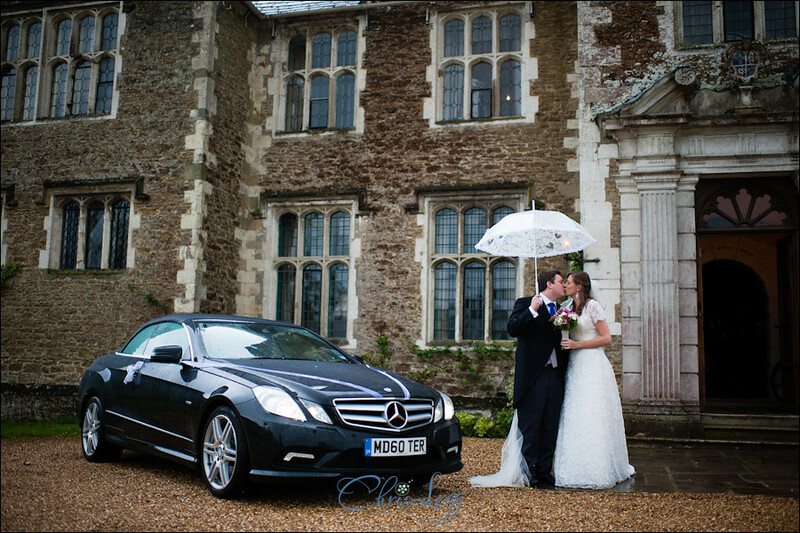 From here we went to the beautiful Loseley Park near Guildford. 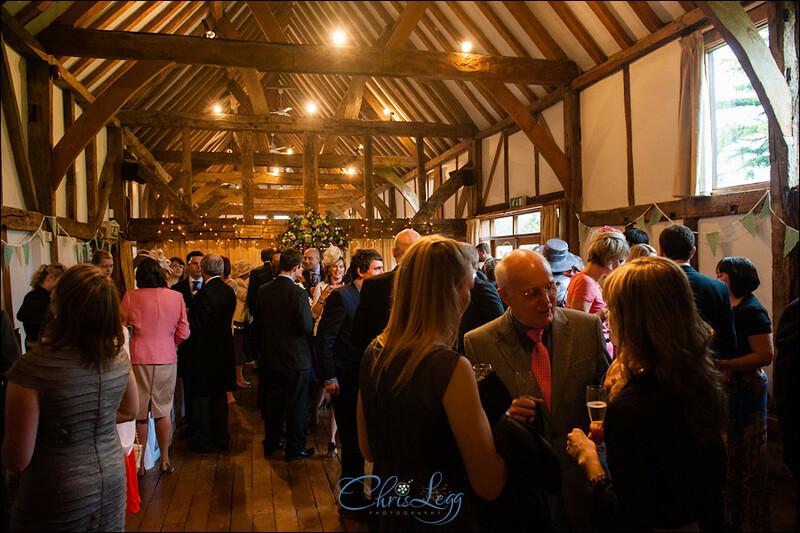 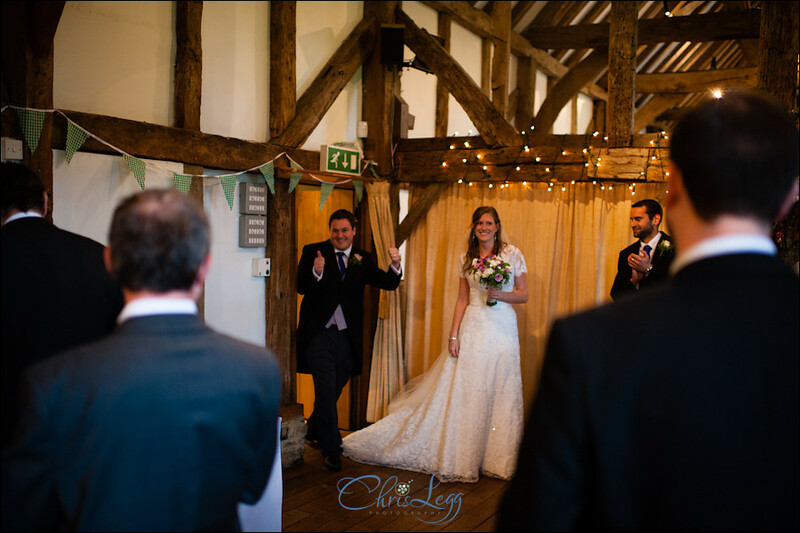 A beautiful manor house, Loseley Park is still an actual residence, with the wedding taking place in the 17th century Tithe Barn just next door to the main house. 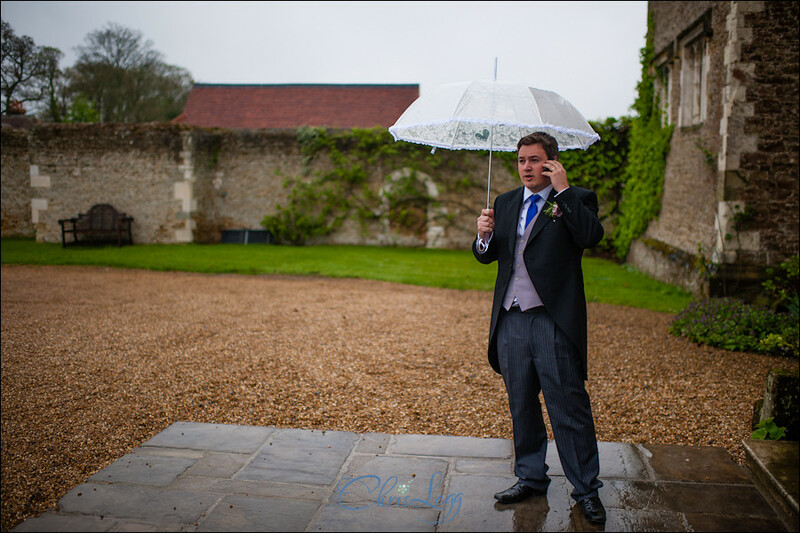 As the weather still wasn’t playing ball we were allowed a couple of shots up at the manor house, after which we returned to the barn for the rest of the reception. 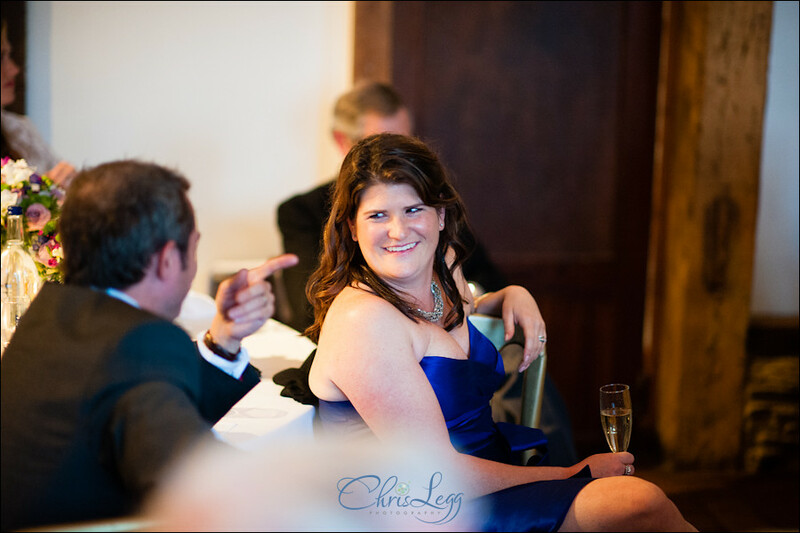 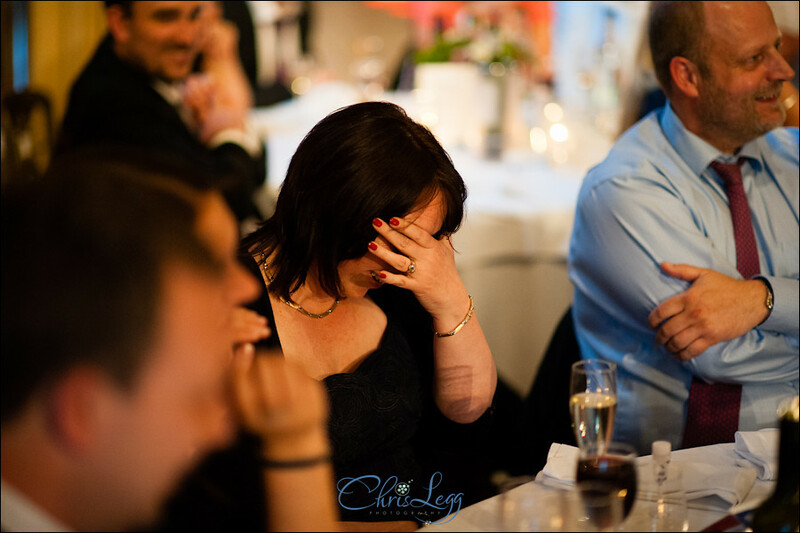 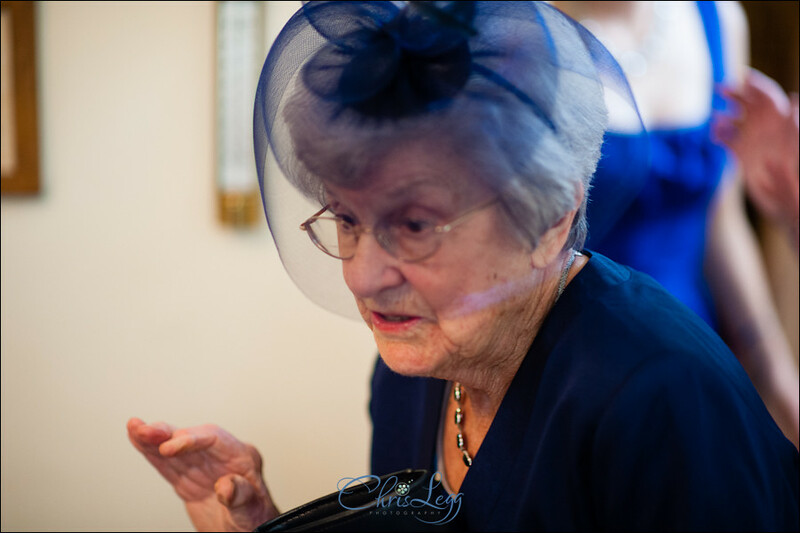 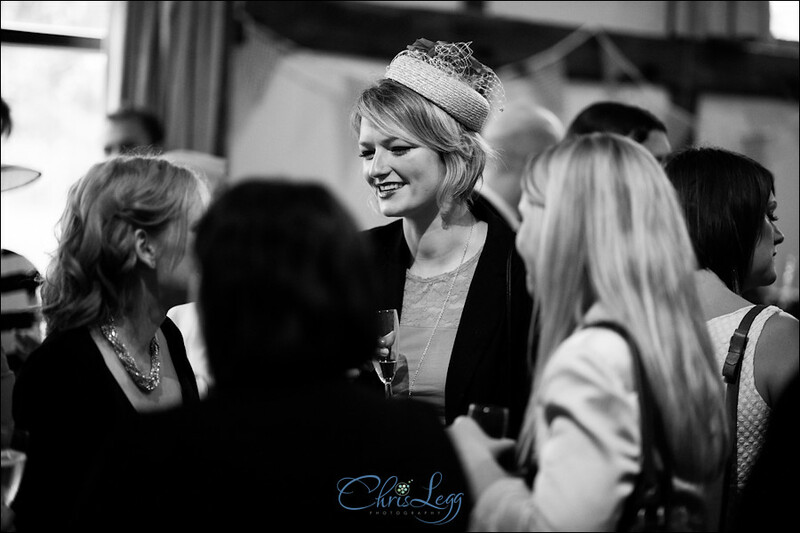 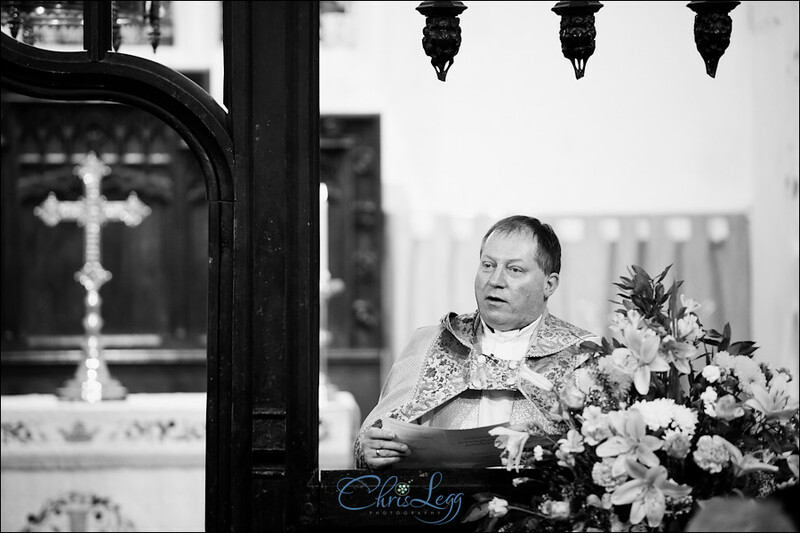 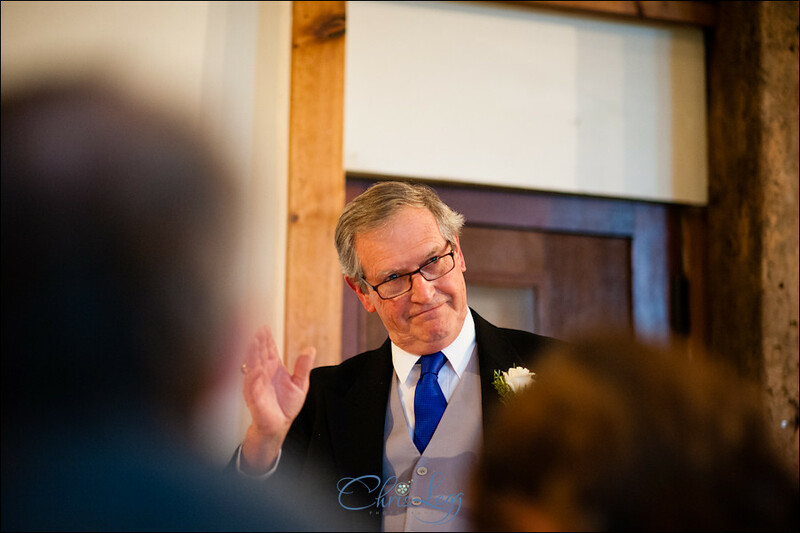 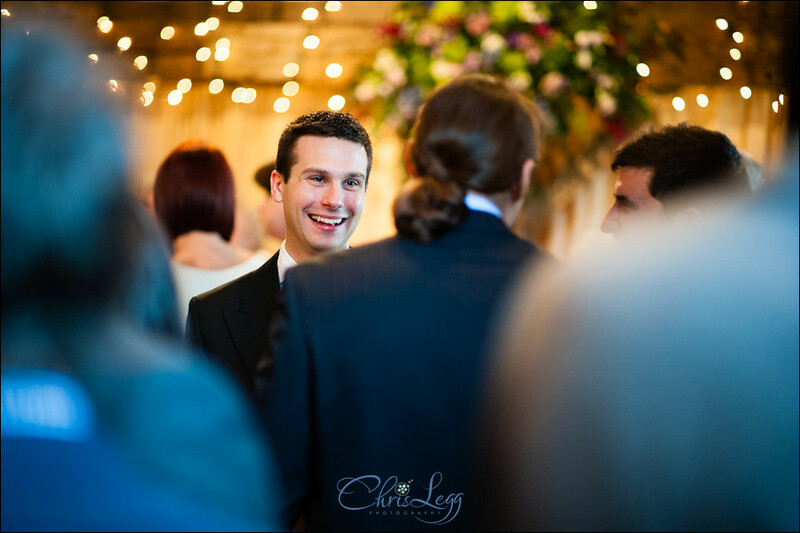 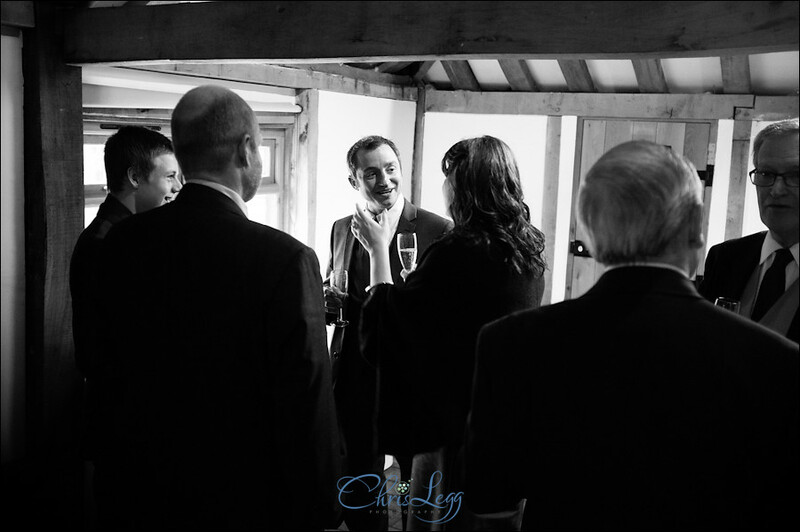 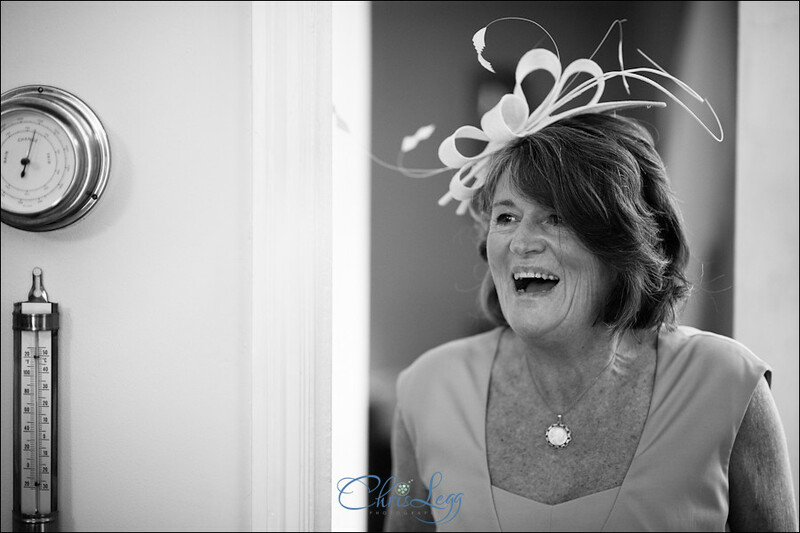 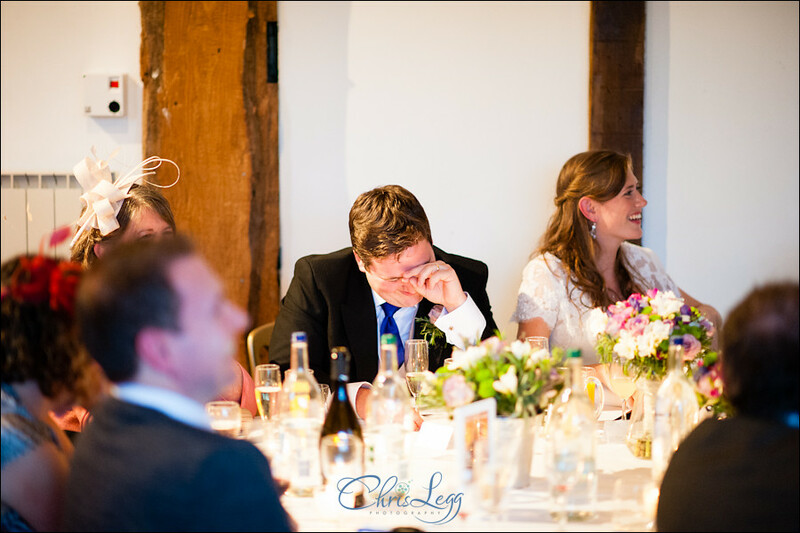 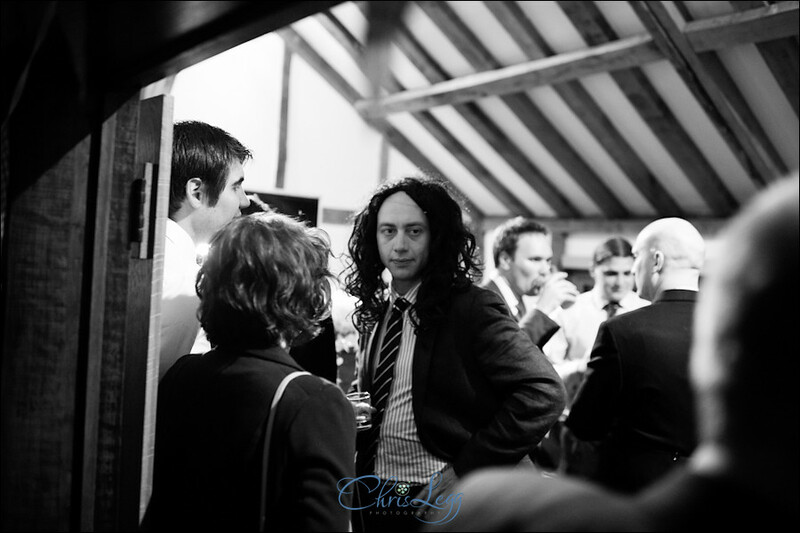 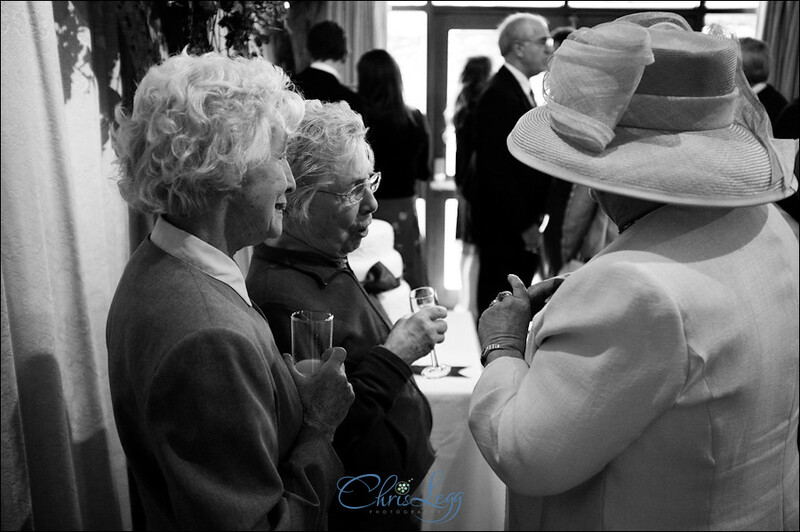 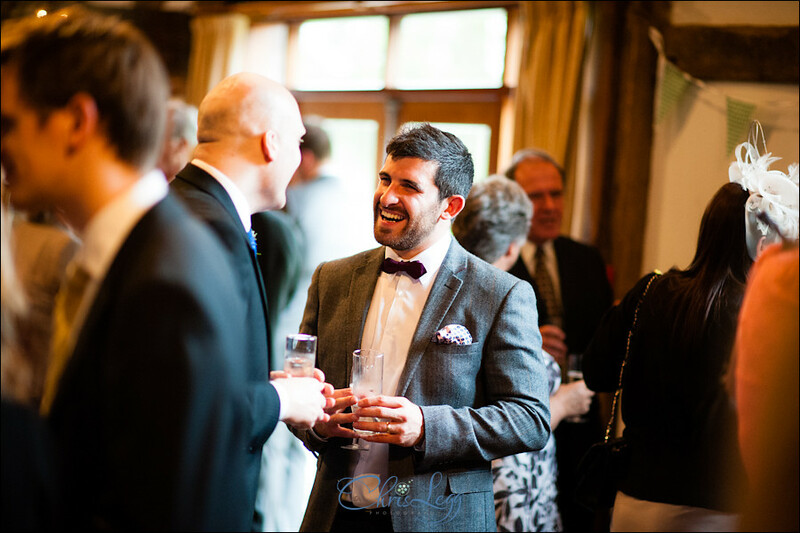 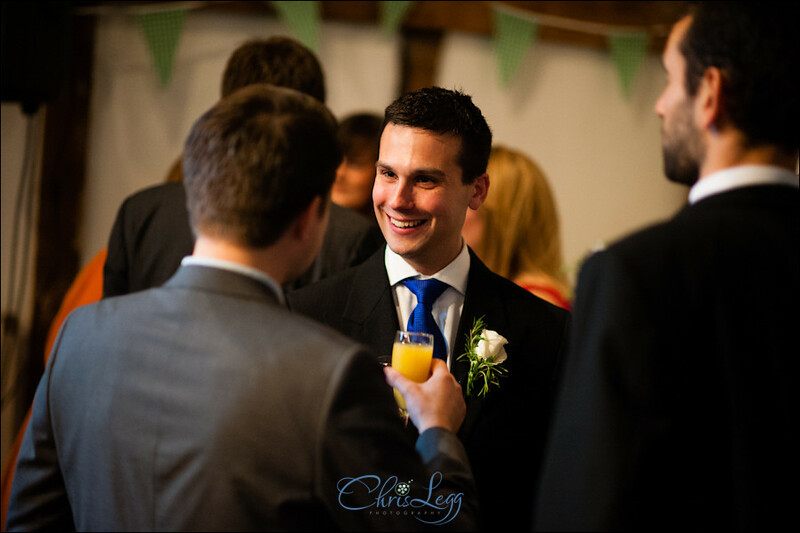 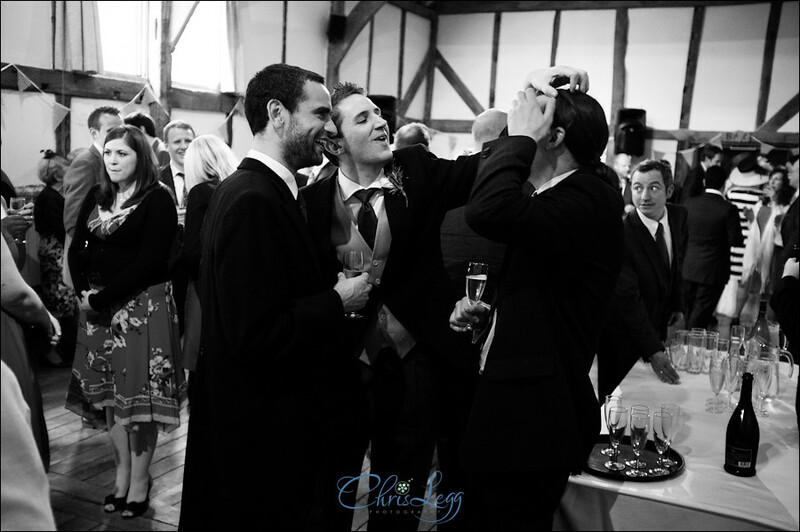 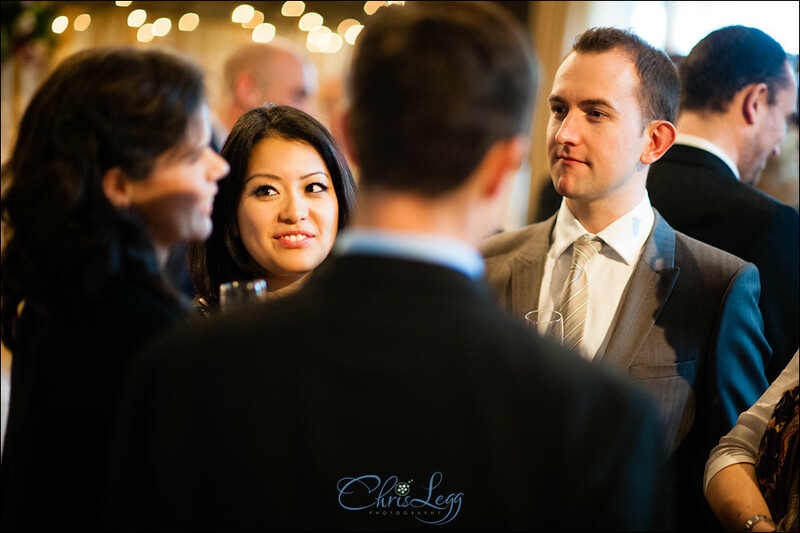 The reception itself was great, lots of laughter and banter which gives plenty of opportunities for great candid shots. 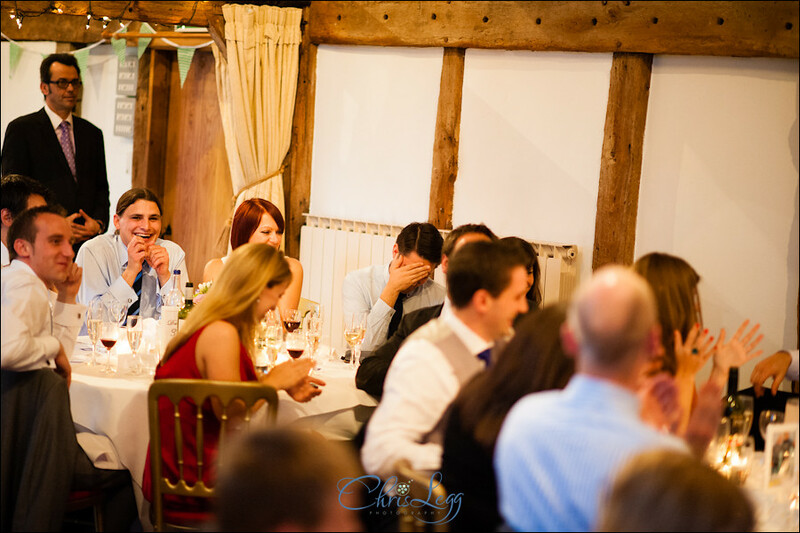 The speeches were outstanding, Jackies sister Lindsay made a sort of collage depicting Jackie which certainly got some strange looks when she first took it out and then Alex’s best man Matt breaking the cardinal rule of “You don’t talk about the stag night” – although to be fair, the picture of Alex in a wheelchair and dressed in Lederhosen would have been too much for anyone to resist sharing.